Buying a Golden Retriever is a lifelong commitment and not an impulse to decision. 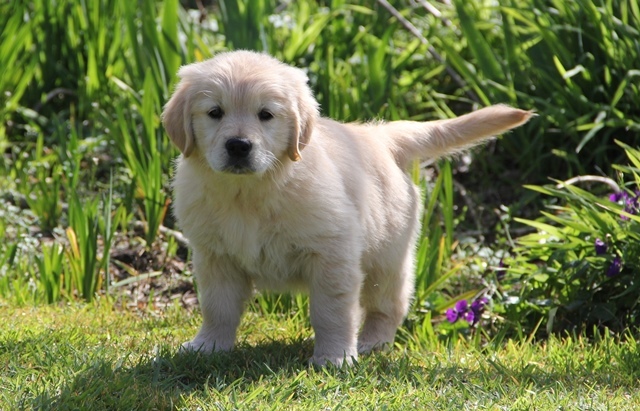 Our Liaison Officers will be happy to give you advice about purchasing a Golden Retriever from a reputable breeder or click here for advice on buying a puppy. The Golden Retriever Club is able to refer you as the prospective buyer to breeders who have or are expecting puppies. The Club only refers to breeders who have been a member of the club for 12 months and actively complete hereditary tests on hips, elbows and eyes. The Club does not recommend prospective purchasers to any particular breeder.